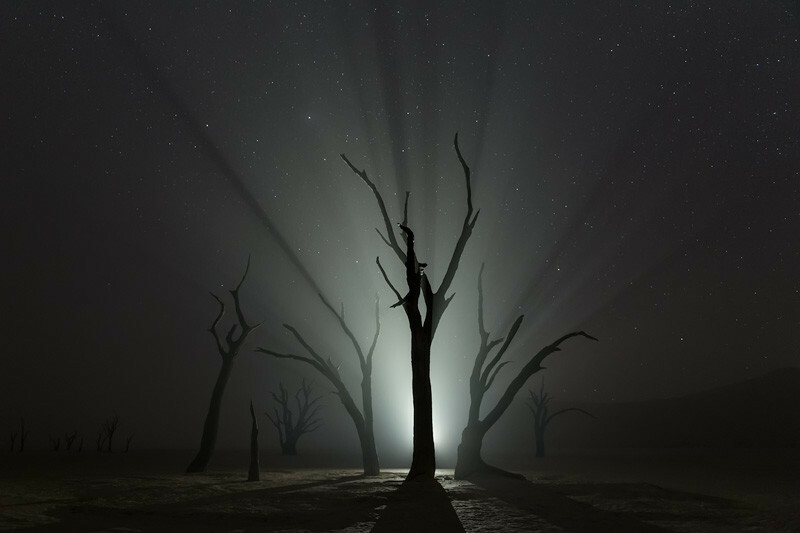 Deadvlei, Namibia, at night. This composition is not one that you've seen before, and that's because it only looks good from one very particular low angle spot - a few inches in any direction and it looks horribly cluttered. The fog, the stars and the backlight simply take it to the next level.